Win a walmart gift card for all your back to school needs. I have shared with you all before that I do a lot of shopping at wal-mart. I would love to win this gift card i can think of so many different ways that I could use it. If you want to enter head over to the blog Cute Pea and enter before September 11, 2010. I am often a hard person to please when it comes to entertaining. You see I want everything to look nice like mom and grandma used to have it but I also want it easy with not a lot of fuss. I know I can't have it both ways but with Diamonds new brilliance disposable cutlery I can have it a bit easier. I love the way brilliant way that the cutlery resembles real silverware. In fact at a recent graduation ceremony we used the Diamond brilliance disposable cutlery and many could not tell the difference upon first glance between real silver cutlery and the disposable cutlery. With a manner of its own the new Diamond brilliance disposable cutlery will please and surprise your guest as well. The cutlery is not flimsy either I used my utensils to cut my meat, eat my entree with veggies and finished my dinner off with a slice of cake. The cutlery stood up brilliantly in fact I saw a few older ladies wipe it off and slip it into their purse. My grandmother used to do this and keep and use at home. The great thing is that the Diamond brilliance disposable cutlery is perfect and inexpensive if you want to dispose of them but also are dishwasher safe if you choose to reuse them. I have to say that the new brilliance disposable cutlery does look rather nice and will be selected the next time I plan a get together. Buy: you can locate Diamond Brilliance disposable cutlery at a store near you. Surfin' Saturdays hosted by Chubby Cheeks Thinks, Two Monkeys & a Washtub, And Then There Were 4... and The Coupon Challenge This week it is gfc follow week. Recently we were able to snack on a delicious snack that I felt good about letting my children have. Panda Natural Real Licorice offers a great taste in a gluten free kosher no cholesterol Non GMO. 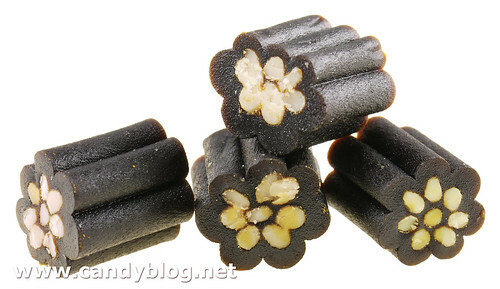 While many snacks offer the good with the bad Panda licorice is a natural snack that offers a unique taste without the added colors, salt or artificial flavors. My teens loved the bite size licorice chews. The natural taste was pronounced and delicious. The snack has received the certification of being kosher adding no salt, preservatives and being 99% fat free. The snack created in 1927 has seen popularity on and off throughout the years and is still as tasty today as it was over 75 years ago. Panda licorice is available in both single size or large multiple serving size. You can print a $1 off wheat thins coupon when you like wheat thins on facebook . First like wheat thins then look on their wall on the left side for the picture that looks like the above you have to scroll down so don't be suprised if you dont see it at first. See Kai Run is hosting a giveaway where five (5) lucky winners will recieve a $100 gc each. The giveaway is to celebrate their fall/winter collection. Giveaway located here open through August 31, 2010 and winners will be notified first week of September. Summer is over and fall is soon to be here. That often means more inside time in our family but it also means school, sports, busy times as well. Everyone in our house is responsible for chores and have been since they were very young. 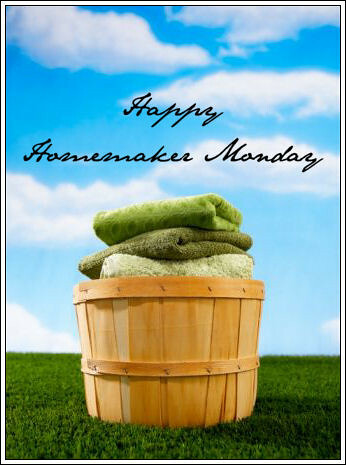 Creating a chore chart is very easy there are many devices on the market to create a list. I have also used a simply piece of paper that is posted so that all can see. The paper shares with them their list of chores. Below is a list of age appropriate chores so that you can create a list of your own. If I were to say the word Intimacy what would come to your mind? Many would instantly think about a romantic moment that normally led to pleasure. What if I told you that being intimate means more than that? Have you had an intimate moment with you best friend, spouse, parents, child? Now if your mind is still in the earlier manner you may instantly be clicking out of this post but if I told you that the definition of intimacy was "showing a close union or combination of particles or elements: an intimate mixture." In other words it means a sharing of hearts, and mixing our life with anothers. We all long for the intimate moments in our life. A place to belong a place to feel loved. Many times we miss out on these moments because we look for what we want to see and often overlook other great qualities. The next time you spend time with a friend take the time to see what is really going on in their life. Start by listening and helping if you can. Often wonderful friendships begin this way and lead into a relationship where both are able to share what is on their minds and feelings that may not be shared elsewhere. I know this is a bit out of my league but I simply wanted to share this thought as I believe I have been guilty of missing out on great friendships because I did not spend time looking for what they offered and simply shut down when what I was looking for was not present. One thing that most new parents and grandparents have in common is showing off pictures of the baby. Now there is an easier way to determine the best place to get pictures done. The source is Babyphotographers.com and is a great source of information for moms and dads seeking information about baby photography. This online resource will let parents compare artistic styles, price, location and more about the photographers personal information located in thier online bio. Locating the perfect photographer is not the only goal of Babyphotographers.com they also share articles and tips on how to ensure you get the best pictures. I recently visited the website myself and was very impressed the way it was all put so cleanly together. It is as if you are actually shopping for the perfect photographer to take your precious little ones picture. I like to look as pretty as every model I see, the only problem is that my body image does not match that of all the models. You see I inherited the hips of every woman on my mothers side of the family and the thighs of the women on my fathers side of the family. What's a girl to do when the genes are against you? You learn to find the best that you can that looks great on you. The problem is there just is not a lot out there. That is why I am so glad to introduce a wonderful shop bringing fashion to the full figured gals like me. Fashion Figure caters to women who wear sizes 12 to 26. The clothes they have to offer are amazing and the prices are not bad either. Fashion To Figure has the styles that everyone is looking for. If you are a shopper then you have to check out Fashion To Figure. Your first visit will be different from your second the reason is that new fashions arrive daily. The Fashion To Figure shopping center has been designed with the shopper in mind. It is a time to relax and shop and have the kids and hubby wait on you for a change. The names of the individuals behind the Fashion To Figure brand may be familiar. Nicholas and Michael Kaplan are the great grandsons of Lena H. Bryant, the lady behind those notable fashions meant for the full figured individuals mo. The Kaplan brothers continue on the tradition being the fourth generation and using years of family knowledge and devotion to create fashions for the full figure. We received a beautiful lace shrug to review for this post. Thank you to Fashion to Figure for allowing the opportunity to review. The opinions and words are those of my own. This Thursday I am thankful that we were able to serve nearly 1,000 individuals during our annual back to school event. There were many that visited this year and received school supplies, shoes, haircuts, clothing, new underwear and socks and a free meal. What a blessing it was to be among the workers at this event. To see a child get a new pair of shoes is a blessing compared to none. Many of these children were ones that I knew from the community and were children of working parents who were struggling so the new shoes they received they may not have been able to have had. I Praise God that were able to supply this need and show the love of Jesus to others. I am thankful that both school and college have started for my younger ones at home and all seems to be going well. My oldest son will start at the University on Monday. I also pray that he will be able to deal with the massiveness of the school without getting lost. I am very thankful that my children are able to go in school past the high school degree. I am thankful that my oldest daughter is reaching near the end of her first trimester of pregnancy and all is looking good. It was a bit scary at first but at this time we are Praising God for all he has done. I am thankful that the report at the specialist went well and that at the time being her condition is not bothering the unborn child. This will be watched very closely with monthly visits to the specialist and ultrasounds and frequent sonograms. 1(8 oz) package cream cheese, soft 1/2 C. butter or margerine, soft 2 tsp. vanilla extract 3 3/4 to 4 C. powdered sugar Beat cream cheese, butter, and vanilla. Beat in enough powdered sugar until it reaches the consistancy you want. use a double boiler) and drizzle it over the top of the pretzels and corn chips. has hardened. Break into chunks and enjoy! Pre-heat oven to 350 degrees. In a large mixing bowl, combine the cake mix, 1 egg, butter, and pecans. Mix well. Press into a geased 9×13 pan. In the bowl of a stand mixer, beat together the cream cheese, 2 remaining eggs, and the powdered sugar until well combined. over the crust. Bake for 45-50 minutes or until the top is golden brown and the center is set. It should be gooey, but not runny. Cool completely before cutting, 1-2 hours. Store in the refrigerator. Line a baking sheet with buttered wax paper; set aside. Combine caramels, marshmallows, and water in a medium saucepan. Cook over medium heat, stiring constantly, until caramels melt. Cool slightly while preparing apples. Rinse and dry apples. Insert skewers into apples. Dip each apple in caramel mixture, coating apples. Place on prepared sheet. Refrigerate until firm. 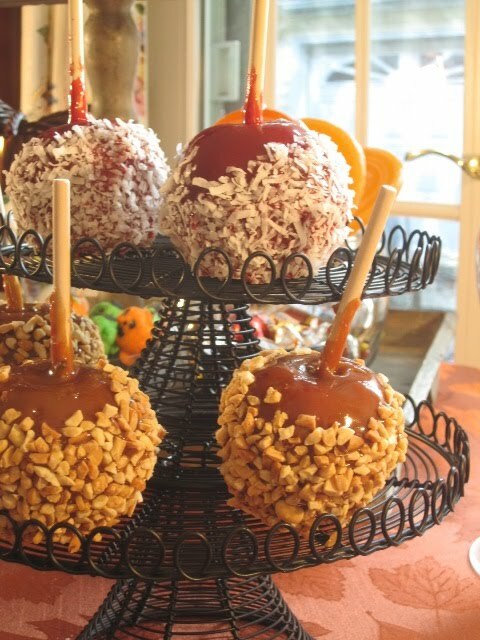 For a fun change, roll apples in crushed peanuts or drizzle with melted chocolate. Preheat oven to 375 degrees. In a bowl, mix together sour cream, cottage cheese, salsa and meat. In a 13"x9" baking pan, layer cooked egg noodles, then meat mixture, and then a layer of shredded cheese. Continue with layers until near the top of pan -- top layer must end up with cheese. Bake at 375 degrees for 20-30 minutes or until cheese is melted and bubbly. Wash and core apples and pears, peeling if desired. Cut into one inch chunks. Slice banana into 1/2" thick slices. Wash grapes and cut in half. Combine fruits and almonds in salad bowl. Mix yogurt with spices and cider. Pour over fruit salad and stir to coat Fruits evenly. Chill. Whisk together pineapple juice, brown sugar, maple syrup and cornstarch until smooth; set aside. Sprinkle chicken with salt and pepper, then dust with flour. Over medium high heat, melt butter in a large nonstick skillet coated with vegetable oil. Cook chicken 5 to 6 minutes on each side. Remove chicken from pan. Add pineapple juice mixture to skillet, and cook, whisking constantly, 1 minute or until thickened and bubbly. Pour over chicken and serve immediately. Set the oven rack to the middle position. Preheat the oven to 350 °F. 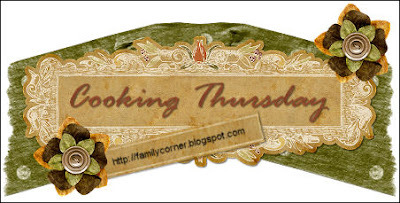 Coat a 1 ½ quart ovenproof soufflé dish with vegetable spray or butter. Wash and peel zucchini. Trim both ends. Grate with the metal grating blade of a food processor. Wring out grated zucchini in a dish towel over sink to remove as much liquid as possible. Squeeze zucchini again by hand to remove remaining liquid. Set zucchini aside in a large bowl. Squeeze chopped onion by hand to remove as much liquid as possible. Add to bowl with zucchini. Add melted butter, bread crumbs, and cream. Add eggs and mix thoroughly. Fold in cheese, salt, pepper, and dill until completely combined. heat and mix in the brown sugar. Combine 8 slices of pineapple with the butter and brown sugar mixture. 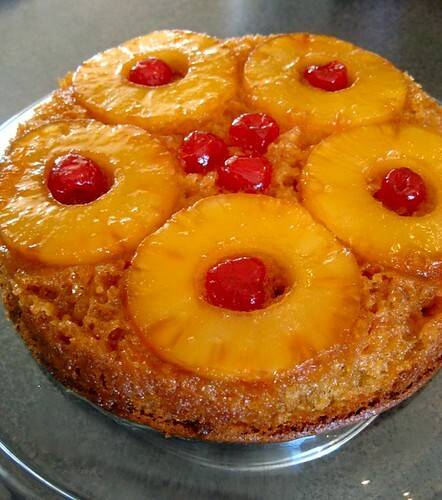 Place maraschino cherry in the middle of each pineapple slice. In a large bowl, separate the eggs. Beat the egg yolks until lightly fluffy. Add 1/2 cup pineapple juice, white sugar and vanilla. Mix until sugar is dissolved. Sift baking powder, flour, and salt. Combine well. Beat egg whites until stiff then fold into the egg yolk mixture. Add this mixture to the butter, pineapple, and sugar mixture. Bake at 350F for 35 minutes. Let cool for 10 minutes, then turn upside down onto a plate. With the times the way they are every individual is looking to cut corners, hold on to what they have and stretch all to the max. Their cars are no different. Unlike years past when new cars were bought every so often today car owners are trying to stretch the life of their cars as far as they will go. Were you aware that Car owners are keeping their cars running longer with more than half of all car drivers wanting to reach 150,000 miles before giving up on their car They plan to reach their goal by maintaining good car maintenance including regular oil changes as well as having other fluids and car parts checked at regular times to ensure their vehicle continues to run smoothly. One of the most important parts of the routine checkups is that the drivers and car owners do not want to wait more than 30 minutes from start to finish. Jiffy Lube salutes car owners who are maintaining their cars in order to keep them in great running order for longer. The Jiffy Lube Signature Service Oil Change is more than an oil change, it is a preventative maintenance program that offers services that will keep your car in great shape. Jiffy Lube Keeping My Ride Alive on facebook located at http://www.facebook.com/KeepingMyRideAlive is where all drivers can join to share stories of the vehicles they have grown to trust and how they take care of it. At the facebook page Keeping My Ride Alive car owners with cars where the odometer is sporting double or triple digits can go and do a bit of bragging to celebrate their high-mileage accomplishments. Visitors can share their own or look at others photos and stories about their high mileage drivers. Newbies wanting to learn a few tips and tricks to the high mileage heroes can all join in the fun by liking the facebook page Keeping My Ride Alive. Are you one of the high mileage heroes or at the other end where you are looking for help on keeping your car running its best for a long time then you are in luck because Jiffy Lube has contacted me and has two (2) $35 gift cards where you can find oil changes and / or other services that they offer to keep your car running great. To enter this giveaway you must like Keeping My Ride Alive on facebook. This is mandatory without doing this step you can not enter the giveaway. Giveaway starts now and will end September 10, 2010. Good Luck Email must be in comment or on blog profile or entries will not count. Jiffy Lube Signature Service® Oil Change or other services offered at more than 2,000 Jiffy Lube service centers throughout the country approached me regarding hosting this giveaway. Jiffy Lube sponsored this giveaway by giving the gift cards and information used in this post to me. I did interject my own thoughts and feelings as well. Spray 12x8-inch baking dish with nonstick cooking spray. In small bowl, combine chili powder, cumin, salt and paprika; mix well. Reserve 1 teaspoon seasoning mixture; set aside. To remaining seasoning mixture, add bread crumbs; mix well. In medium skillet, melt butter over medium heat. Add celery and onion; cook 5 to 7 minutes or until vegetables are tender. Add corn, cheese, cilantro and bread crumb mixture; mix well. Loosen skin from each chicken breast to form pocket between skin and meat. Fill each pocket with about 1/2 cup corn mixture; secure opening with toothpick. Place skin side up in baking dish. Sprinkle chicken with reserved seasoning mixture. Broil 4 to 6 inches from heat 5 to 7 minutes or until skin is brown. Remove baking dish from oven; cover with foil. Heat oven to 350°F. Bake 35 to 45 minutes or until juices run clear. Stir in 1 cup of one of the following ingredients: sweetened dried cranberries, semi-sweet chocolate chips, chopped mixed dried fruit, flaked coconut or chopped pecans. Bake as directed above. 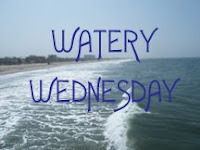 Amos 9:6 ESV Who builds his upper chambers in the heavens and founds his vault upon the earth; who calls for the waters of the sea and pours them out upon the surface of the earth— the Lord is his name. We're Hungry What Can We Eat Mom? The summer is coming to an end and either the kids are back in school or soon will be. All summer long I have heard my children ask for snacks or what are we eating for breakfast, lunch, supper. Without a plan I am sure I would have been lost. Now that school is back in session it is no different with them being hungry only the questions come at a different time. As they enter the door they are asking for a snack and what is for supper. To be ready with an answer the best thing to do is have a meal plan. That way when attacked with the hungry issues you are all ready ahead of the game. To start a meal plan I would suggest you begin in a quiet atmosphere the less distractions the less problem with figuring it all out. Second start with what you all ready have in the cupboard, the fridge and freezer. Knowing what you have will help you decide what to serve your family. The less you have to buy the better. After forming meals around what you all ready have the next step is to figure out how many more meals are needed. 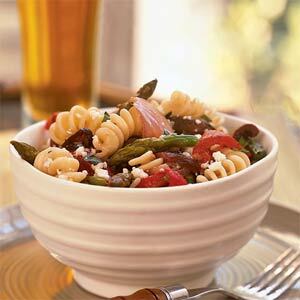 Start with one meal such as supper and move to another until you have a week worth of meals covered. If your children will be eating lunch at school account for that if your child is taking their lunch to school remember to add the lunch supplies to the list of needs. When you have all your meals on paper with shopping list of needs created then place it on the fridge. Going to the grocery store once a week will cut down on time and expenses. Posting a menu for your family can see will also allow them to know what your plan is and the questions of "What's there to eat" may cut down greatly. Expression of a friend of mine after paying for back to school expenses for his children. Have to love it. Oh this weekend was a good one while it was also a bad one. This weekend the kids went to six flags in St. Louis and had a fun but not such a great time. So I bet you are wondering how a trip can be both in one. The rides, being together and just enjoying the trip was the fun part but the bus breaking down, a wallet getting swiped and the heat made it for a bit of a downer as well. My son was the one who had the wallet stolen of course everything in it including $80 cash, his license, his meal ticket for college, his bus pass, and many other things including his testimony. While he was mad and very disappointed at first his mood turned to one that wanted whoever swiped his wallet to also take the time to read his testimony. The thought of someone reading his testimony and possibly finding out about Jesus brightened the situation a little. The good thing is it was sort of easy to replace the bus pass and meal ticket, the drivers license will be replaced soon. The back to school event at school was super great and we were able to serve nearly 1,000 people, gave over 600 bags of school supplies away, I am not sure how many hundreds of haircuts and shoes as well as clothes, socks and underwear. Amen!!! We were able to serve so many in the community. More than 150+ church workers came together to put on such a grand event. One thing that happened this weekend that was not so great was that two of my best friends who have been having a small feud for a while tried to bring me in the middle by asking me my opinion. I do not want to be in the middle. 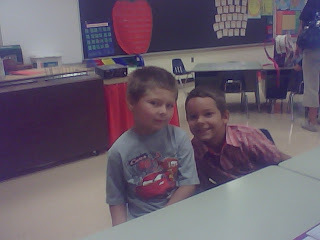 I love both of these friends they are great friends of mine. I would love to see them patch up their differences and come back together. Oh when we act so high school as grown women it is very sad. i am glad that none of my friends read this blog as I can share my true feelings with my Friends online. Those were my random thoughts what are yours? 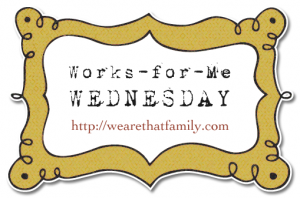 Follow Me Back Tuesday is another day of the week that you can gain more followers and find other great blogs to follow on a weekly basis. 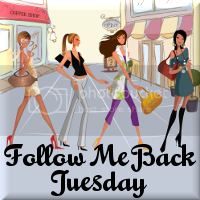 Follow Me Back Tuesday is hosted by Survey Junkie, Little Yaya's, Review Retreat and Boobies, Babies & A Blog. Sometimes in our busy every day lives we get so busy that we forget certain aspects of our lives. We find time for the kids, the pets, the carpool, the church, the school and the list goes on and on but we often fill our time with so many things we forget about time for ourselves. When the time crunch of life starts to take you away take a few minutes at the end of the day or whenever you can find a minute or two and settle down and listen to some soothing sounds of wonderful music. Eden Fantasy's finds many alternatives to beautiful music. One of them is The Best of Smooth Jazz, Volume 4. The smooth sounds of jazz put together by Eden Fantasy's and meant for Lovers features artist like Phil Collins, Chaka Khan and Patti Austin. Songs that will entice you in foreplay, seduction and into the arms of your lover will delight your sensual sensations and leave you with a song in your heart. Have you ever noticed that a song can make even the roughest of times more peaceful and in some ways special? You know how I love great fun tees with wonderful sayings. Well let me tell you about a great tshirt company that makes fun, creative and down right offensive tees. RoadKill tshirts.com is the place to go when you are looking for a fun tee that will fit nearly everyone personality. RoadKill tees are speedily becoming a part of a growing tradition at adults parties. Offensive tees are becoming an in thing and RoadKill has one that is sure to surprise and delight your friends. If you are into the offensive line of tees then you have to check out the great line up that RoadKill.com carries. Want one of these super cool tees from RoadKill.com? Well visit their website at http://www.roadkilltshirts.com/ where there is always a great sale and pick out your favorite one. This may be a hard decision as they have a ton to choose from. Win: One of Annies Home readers will win their choice of tee. In order to enter you must visit the Roadkilltshirts.com website and let me know what your choice of tee would be if you were the winner. We recieved a tee of our own for review purposes. Thoughts and opinions are those of my own. Whisk together melted butter and next 5 ingredients in a large bowl. Stir in flour and chopped pecans. Pour batter into a greased and floured 15- x 10-inch jellyroll pan. Bake at 350° for 20 to 25 minutes or until a wooden pick inserted in center comes out clean. 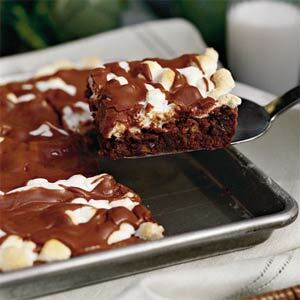 Remove from oven; top warm cake evenly with marshmallows. Return to oven, and bake 5 minutes. Drizzle Chocolate Frosting over warm cake. Cool completely. The joy that these three young ladies show in this picture and their excitement to start their senior year yet the regret that they don't want it to be over brings back many memories. These girls all either go to our church and are great friends of my own children. good friends are far and inbetween so when you get a great one hold on to them with all you can.